Jewelry is enhanced by many features, but drawings, renderings, metals, and settings perform the basics of every jewelry creation. A piece of jewelry represented with various sketches. 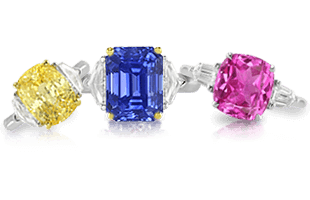 The lesser talked about elements that also go into the creation of a beautiful piece of jewelry tend to not get as much attention as the cuts and shapes, but they are just as integral to the successful production of a stunning piece of jewelry. Designers will work with drawings, renderings, metals, and settings in order to create the most beautiful and pleasing piece. Custom, made to order jewelry takes vision, skill, and experience to create from scratch. 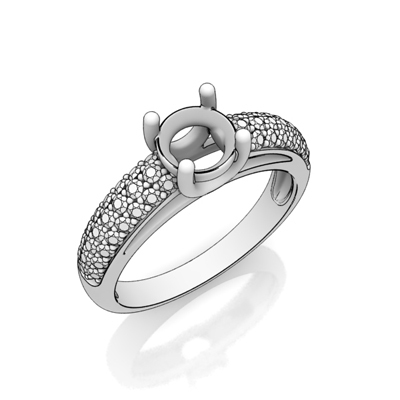 A design is first discussed verbally, with the aid of existing pictures, or from an already completed piece of jewelry. Rough sketches are then made to complete the model design. A drawing of a prong setting. Next, fine drawings and pastels are used to create the finished design through the high skill of artists. 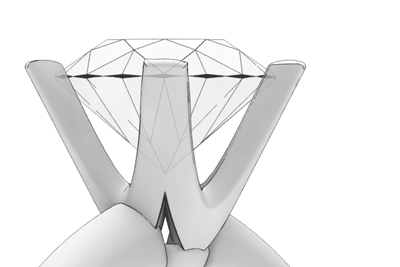 Once the drawing is close to the desired look, CAD designers work on creating a digital image that depicts the piece of jewelry in true-to-life form. 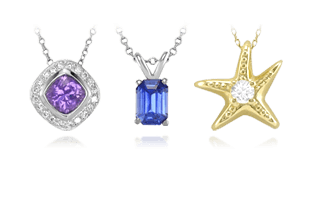 From these images, a completed jewelry creation can then be handmade into a finished piece. A wax model is created in many cases that will be used in the gold/platinum casting process. The wax model is hand carved to the exact specifications of the stones being used. Fine wax models take considerable time and expertise. The wax model quality and design is very important, as the finished piece will be an exact replica of the wax design. 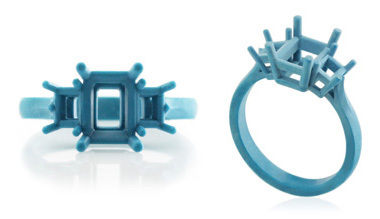 The wax model for a three-stone ring. 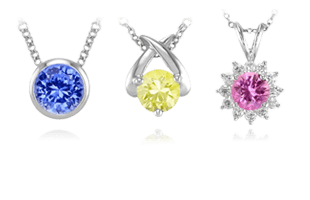 There have never been more options in jewelry, and the type of metal being used is no different. The following is a breakdown of the most popular metals in use. 14k gold is the standard metal used in jewelry production. The ‘k’ refers to the term ‘karat,’ meaning the percentage of gold within the metal. 14k gold is 58.3% pure gold. 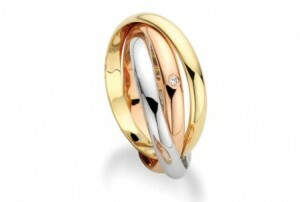 14k gold is extremely durable and is perfectly suited to everyday wear. 18k gold has a higher percentage of gold than 14k; 18k is 75% pure gold. Because of its higher gold content, 18k has a beautiful rich yellow color. We cast our settings in both 14k and 18k gold, depending on the jewelry item and per the customer’s request. Platinum is the hardest metal available. It is often the most expensive; nearly three times the price of gold. Platinum is frequently used in exceptional jewelry pieces, as it requires a high level of craftsmanship. We recommend platinum for more expensive items, as platinum will last a lifetime. Palladium is one of the platinum group metals. Palladium is used as a substitute for platinum or white gold. Palladium has a lovely silvery-white color so it does not require rhodium plating, and it is harder and less expensive than gold or platinum. Because of palladium’s excellent biocompatibility, it is a good choice for people with allergies to gold alloys. 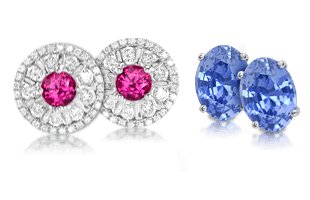 Rose gold is sometimes referred to as ‘pink gold.’ Rose gold is often used in special designs where a pinkish metal color best suits the gemstones used in the jewelry design. The rose color is derived from the addition of different alloys in the gold casting process. Green Gold is another unique coloring of gold. Sometimes it is referred to as “mellow yellow” as it has a unique gold coloring. Green gold is often seen with a “satin” (sandblasted) finish, this further accentuates the “green gold” coloration. There are many different methods of setting stones in jewelry. Many are for practical reasons regarding the security and size of the stone, while others can Here are the most common and widely used methods. 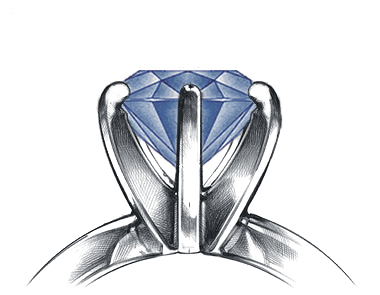 A rendering of a prong setting. 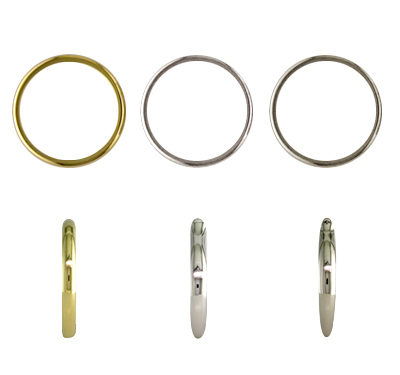 Prong setting is the most traditional and classic type of setting that is seen in jewelry. It is quite simple in method and design, yet a good setter holds a unique role in the finishing touches of jewelry. Setting a stone at just the right height, completely straight, centered and secure is not an easy task. The risk of chipping a stone is always an ever-present danger for a setter. A good setter is a rare craftsman. An example of a pave ring. Pave is a specialty setting type where small round stones (usually diamonds) are set very close together. There are many methods in creating this type of setting. This is normally done by hand with a special tool where a bead is raised and created in between pre-drilled holes. These very small beads are then used to hold the stones together in a very close and uniform way. The finished look is very clean and elegant looking. Micro Pave’ is very similar to Pave’ except extremely small stones are used, in some cases less than 1 millimeter. This work is usually done with the aid of a microscope and sometimes with a laser tool for ultra fine finishing detail. This type of setting work is very expensive and highly labor intensive. It is the work of a specialist. 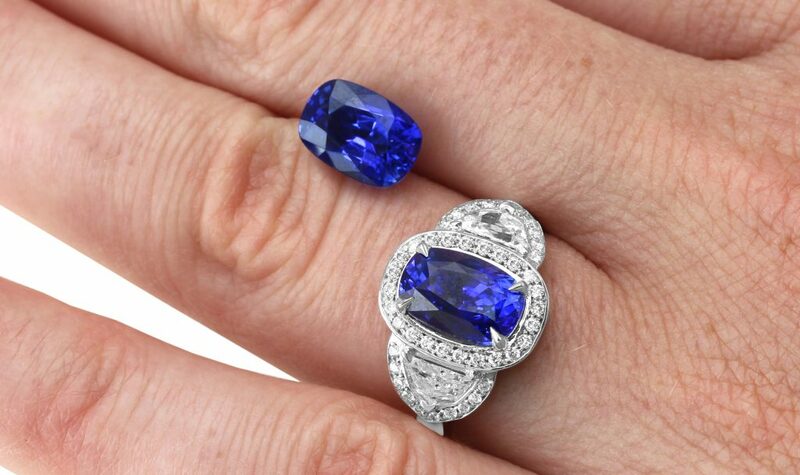 All of these details that make a lovely piece of jewelry still begin with a single stone, and no education section would be complete without providing an understanding of how stones are examined. We do that next in Gemstone Laboratories & Certifications. 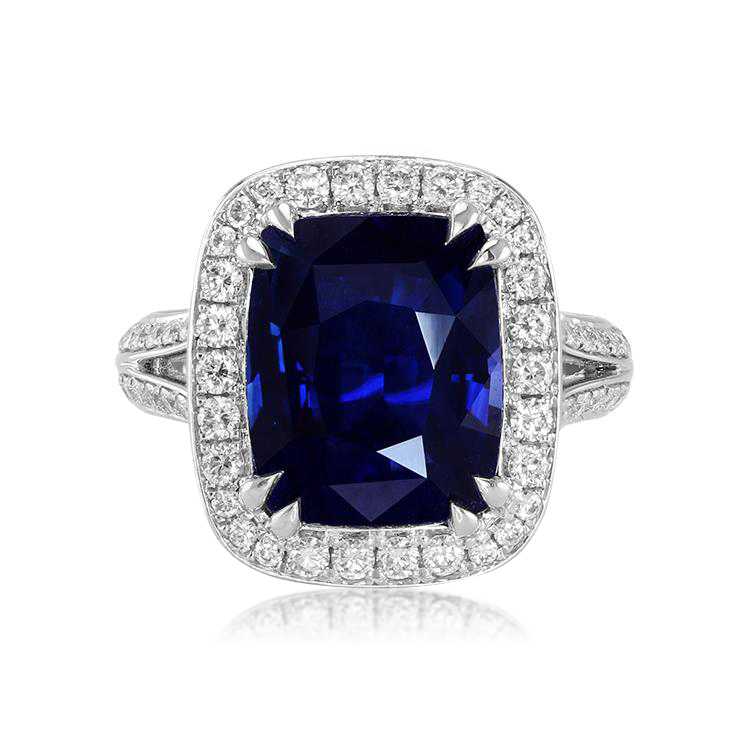 Sapphires 101 Corundum Crystals and Chemistry About Us Why Choose The Natural Sapphire Company?